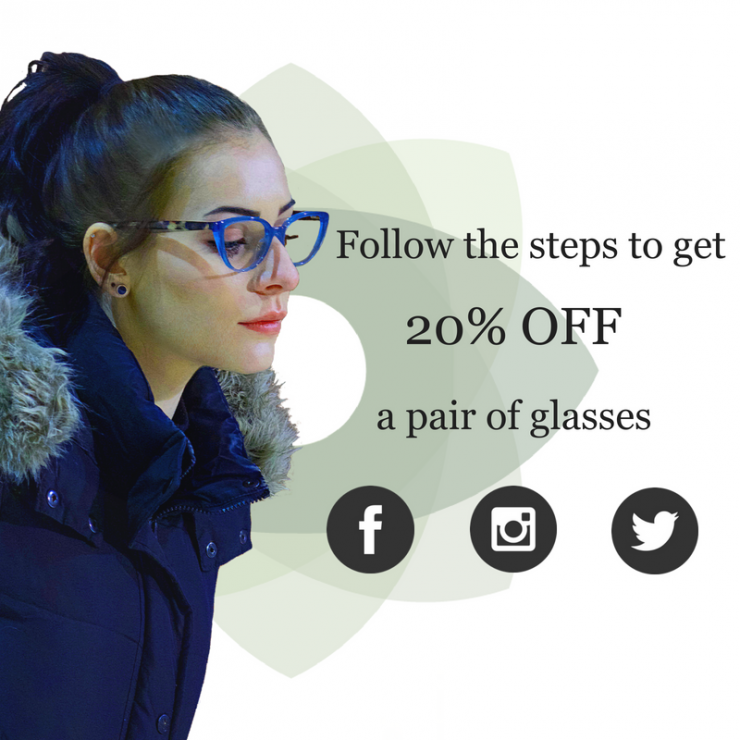 Get 20% off your glasses purchase by following these steps! Thats it! You have to come in during the month of June for this promotion to apply! We will also confirm that you followed the steps before the discount is applied. Give a call or send an email if you have questions.